Although our standard CNC plasmas come loaded with capabilities, we also have the options to give you the exact specifications you need as no two facilities are alike. Our wide range of custom options allows you to unleash the possibilities of your CNC plasma table. From multiple 4th axis options to advanced cutting solutions, our CNC plasmas can be upgraded to deliver in any industry. Don’t be limited by the out-of-the-box capabilities of cheap imports. Get the features you need to produce the finishes you want. 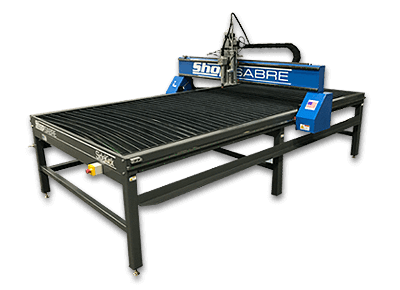 Why Buy a ShopSabre CNC Plasma? Our commitment to industrial strength and unbeatable customer service ensure your CNC plasma will deliver the perfect results you need whether you’re on your first cut or your ten thousandth cut. We proudly build our machines in the USA and design them to industrial specifications to give you the flexibility and durability you need to cut as often as you need. Every ShopSabre CNC plasma is carefully built to perform from the moment you get it. 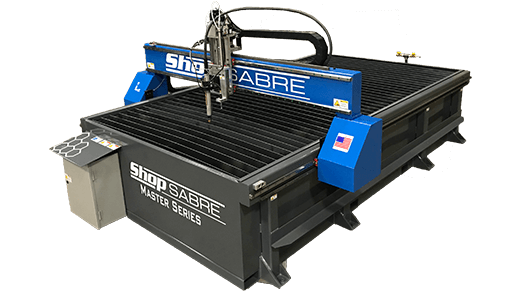 With top-rated material, technology, and construction often found in machines retailing for three times as much, a ShopSabre CNC plasma machine provides you with unbeatable value. These are just a few of the many advantages ShopSabre CNC plasmas have over the competition. Click the button below to learn more about why our CNC plasmas are a superior value to the competition. What types of material can I cut with my CNC plasma? Due to the technology advantages of our plasmas, we are able to provide you with more capabilities than typical plasma cutting machines. 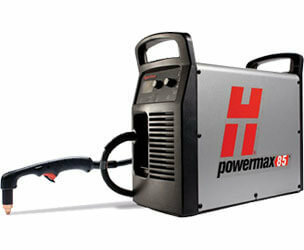 Our plasmas are most commonly used to cut steel, aluminum, brass, copper, and other conductive metals. Please Note proper safety measures should be considered and taken for various materials. See the Cutters Recommendations or ask us for limitations. Where are your CNC plasmas made? All ShopSabre CNC plasmas are 100% American made. From the engineering/development to welding, painting, wiring, and final testing and assembly, we truly are the manufacturer. We use only the finest quality materials and build all of our machines right here in the our facility in Elko, Minnesota. Our machines aren’t the cheapest, but they are the best value. Unlike cheap imports and other low cost American companies, we use only the highest quality materials and build technology. Using these materials and technology actually helps us to cut costs by reducing our overhead and labor times while also reducing our support demands in the field. This also allows us to provide free lifetime technical support with every new ShopSabre CNC machine. Due to this method of business, we also sell more machines than the typical CNC manufacturer which allows us to pass the bulk discounts we receive from vendors on to you the end user. Our many satisfied customers can back up our promises to you. Simply ask for references or see what real ShopSabre owners have posted about our products and service. We stand behind every aspect of our machines, but we don’t want you to take our word for it. We also encourage you to look at more expensive machines and compare the quality to one of ours. Most of our customers who’ve purchased other machines or have seen other machines in action are blown away by the quality and value of our CNC plasmas. Many of our clients are first time CNC users. With our lifetime technical assistance, you can be assured you’ll always have someone to speak with when you need help. We also include access to the ShopSabre basic training class with every purchase of a new ShopSabre CNC plasma. You’ll get hands-on experience without the expense of paid training. We also include a manual with the machine and software that has built-in tutorials. Do I need Servo Motors on my machine? Why is steel construction important? Steel is critical because you are cutting with heat, and heat will translate into deflection over time of heating and cooling. Aluminum has a much lower melting point which results in higher risk of deflection in your CNC system when you are cutting from the heating and cooling. The steel construction brings a higher rigidity allowing you to add thicker plate without risk of sagging or bending in the frame. The steel gantry is critical because the heat of your cutting will rise and this will effect the cutting tolerances if you accept a machine designed with cheaper materials like extrusion. This is why on larger higher priced machines you only see steel. Just because you are spending less does not mean you want to get a less rigid design. Our FEA software shows the strengths of our machines and minimizes the deflection which maximizes your cutting tolerances.